A great ski trip can encompass a full range of experiences. A great ski trip is not just about the highest elevation or the most difficult terrain. The American West knows this and resorts in the Western states are all about the full experience. With hundreds of options, there are many factors to consider but there are a few standouts when it comes to accommodating skiers and non-skiers alike. These mountains, and the towns that surround them, are all top-destinations for some awesome powder skiing and a well-rounded trip. Colorado is quintessential western skiing and home to many well-known mountains and ski towns. Known for the beauty of the Rocky Mountains and dry, powdery snowfall, Colorado combines nature, a little cowboy culture and luxury all mixed in to one great State. The town and ski area of Breckenridgeis said by some to be the most popular ski resort in the west. This legendary ski town offers something for everyone with world-class slopes, dining, shopping and entertainment. With a more open-to-all feeling than some other Colorado playgrounds of the rich and famous, the town of Breckenridge is vibrant and alive and has a mix of tourists and locals to give it a hometown feel. Telluride is a tribute to the model ski town. With its gondola-connected and planned community neighbor, Mountain Village, everything about thearea is geared towards skiing and winter sports. With the 4.6 mile (7.4 km) Galloping Goose run skiers can get their fill of terrain and spectacular views. Though Telluride is known for some fierce black diamonds and rugged terrain, many of its 125 trails are geared towards beginner and intermediate skiers. Vail is the largest ski resort in the United States, coming in at over 5000 acres. Of course, Vail is well-known as the “in” place to be for a winter ski vacation. The mountain includes plenty of trails for all skill levels and the town offers visitors plenty to do off the slopes with high-end shopping, spa services and gourmet restaurants. Utah is known for its fine powder skiing and for easy access to its top resorts from the Salt Lake City airport. Park City Mountains only 34 miles (55 km) from SLC and is the site of several training runs for the U.S. Ski Team. The snowboarding events for the 2002 Olympic Games took place at Park City Mountain. Needless to say, this mountain is legendary. Also located in Park City is the Deer Valley resort. Consistently making the top spots in SKI Magazine’s list of North America’s top resorts, Deer Valley has something for everyone. Deer Valley was the host of the mogul and slalom events for the 2002 Winter Olympics and is a major stop on the international ski competition tour. Park City itself, with its two largest mountain resorts, offers lots of excitement as home to the United States Ski Team and the main location of the internationally known independent Sundance Film Festival held each January. If it’s strictly snow you’re after, Snowbirdis the place to be. This resort is known for its massive yearly amounts of light fluffy powder. Thanks to its location, near the Great Salt Lake, Snowbird and its sister resort, Alta, receive over 500 inches (1,270 cm) of snow each year. If stellar skiing is your primary goal, Snowbird may be for you. The area is focused on skiing rather than becoming a full-service resort town. There are many lesser-known ski areas dotting the Sierra Nevada Mountains along the eastern spine of California, but if you’re traveling a long distance to come skiing in California there are some well-known spots that are easy to research making it easier to pick your destination. The first is Squaw Valley. This is the former site of the 1960 Winter Olympic Games, the first televised Winter Olympics. Since gaining recognition from this event, Squaw Valley has gone on to become a world-class ski destination even hosting world cup skiing events. Mammoth Mountain is California’s highest ski resort, sitting at 11,050 ft. (3,368 m). Mammoth Mountain Ski Area sits atop this lava dome, formed thousands of years ago and still producing a sometimes noxious gas from volcanic vents that can kill trees in the area.But, on the bright side, the mountain delivers consistent dry light powder and awesome views. 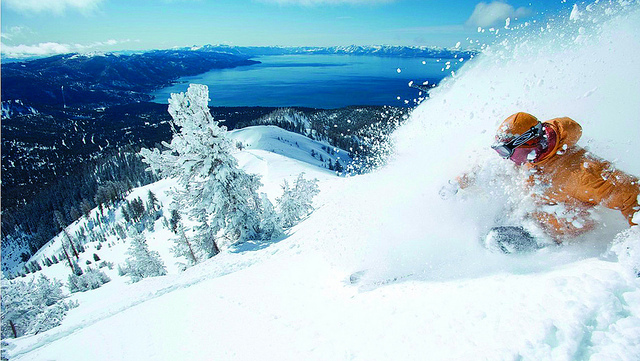 Lake Tahoe is home to several renowned ski areas including Sierra at Tahoe. With many good trails for beginners and long wide runs over gentle hills, it can be the perfect place to find your Zen. There is also a half-pipe and snow play area for the kids. For a treat, you can take the lift up to the top of the highest peak, Huckleberry Mountain at 8,852 ft. (2,698 m) and enjoy a meal and breathtaking views from the summit restaurant. Also at Tahoe are the ski areas and resorts of Heavenly, Northstar and Alpine Meadows. Colorado, Utah and California may have some of the best known and the largest resorts on the American West, but there are also top-notch resorts in other western states including Montana, Wyoming and Idaho. With so much to choose from it may take more than one trip to make a dent in that bucket list. 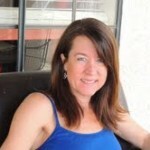 Wendy Brunner is a mother, writer and traveler born and raised in Boston and currently residing in Arizona. Wendy writes unique travel articles for hoteldealsite.com and also shares her experiences at www.wendybrunner.com.